Down a grass path from “The Hacienda”, you will discover “The Casita”, a circular, palm-thatched building with a traditional thatch roof. While a 20 foot circular wall encases the building, the front of the structure is open with panoramic windows, creating views of the waves and headlands. Combined with a mesmerizing 13-foot-tall ceiling, the Palapa makes a stunning tropical “air conditioned” guest room that is perfect for couples or groups of two or three. A King sized bed, full sized day bed, and modern bathroom retreat offer a sanctuary away from the heat of the tropics. 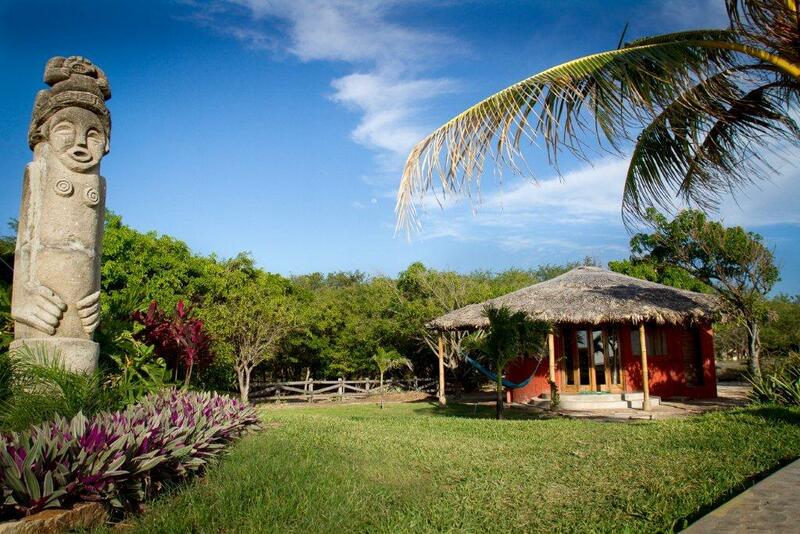 Surrounded by the sea and set among beautifully maintained gardens with mature trees and tropical plants, The Casita’s setting allows for tranquility and peaceful relaxation. Stay cool with air-conditioning or open the windows in the evening to enjoy the refreshing ocean breeze.